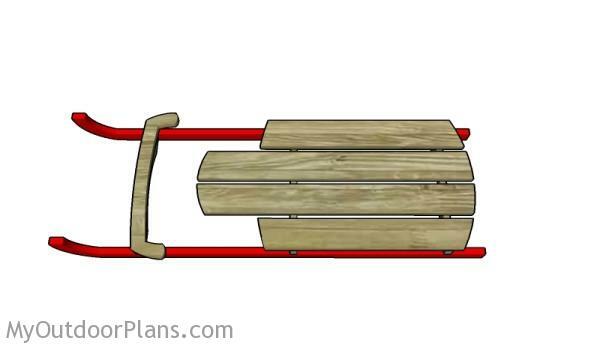 This step by step diy woodworking project is about wooden sled plans. 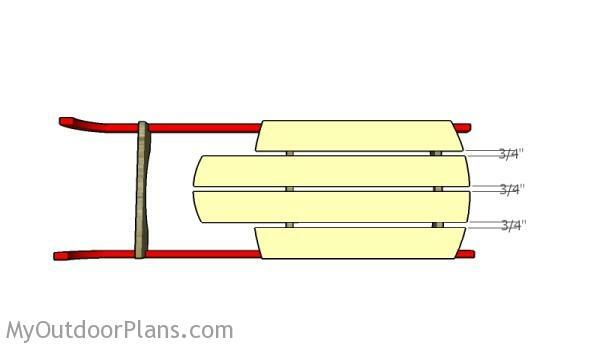 This simple wooden sled is a decorative project for Christmas. You can easily adjust the size, shape and the design of the project to suit your needs. Make sure you take a look over the rest of plans to see alternatives and more projects for your garden. The first step of the project is to build the skids for the sled. Mark the cut lines on the 2×6 beams and get the job done with a jigsaw. Smooth the edges thoroughly with sandpaper. Next, you need to build the supports for the sled. Mark the cut lines with a pencil. 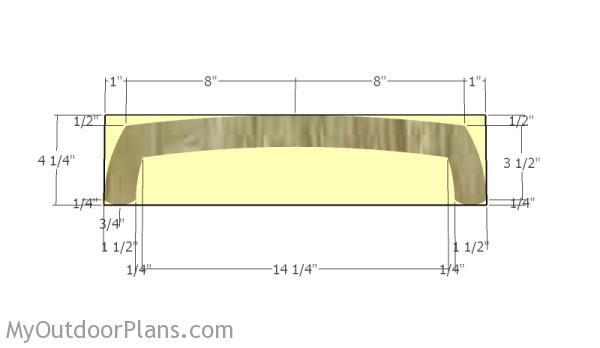 Use a circular saw for the straight cuts and a jigsaw for the curved cuts. Smooth the edges with sandpaper and remove the residues with a damp cloth. 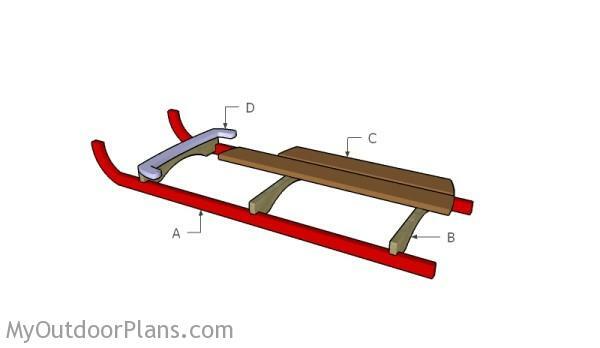 Fit the supports to the sleds, as shown in the diagram. Drill pilot holes through the skids and insert 2 1/2″ screws into the supports. Make sure the corners are right-angled and leave no gaps between the components. 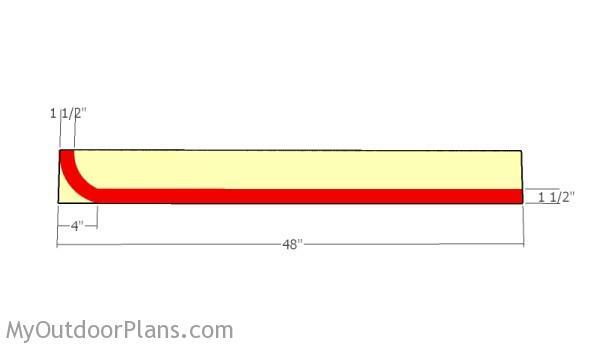 Lay the 1×4 slats for the seat on a level surface, as shown in the diagram. 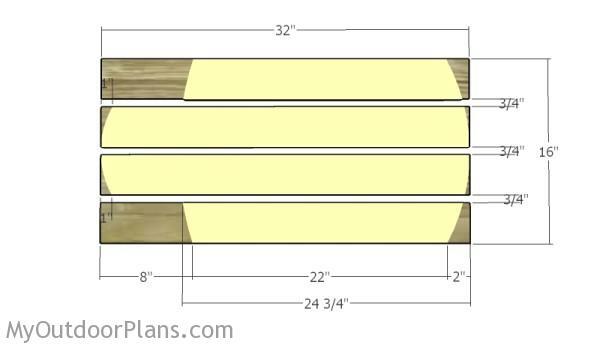 Place the slats 3/4″ spaced. Mark the cut lines on the slats and then make the cuts with a jigsaw. Fit the slats to the support, making sure the slats are equally-spaced. Drill pilot holes through the slats and insert 1 5/8″ screws to lock them into place tightly. Smooth the edges with sandpaper or use a router and a 3/4″ drill bit. 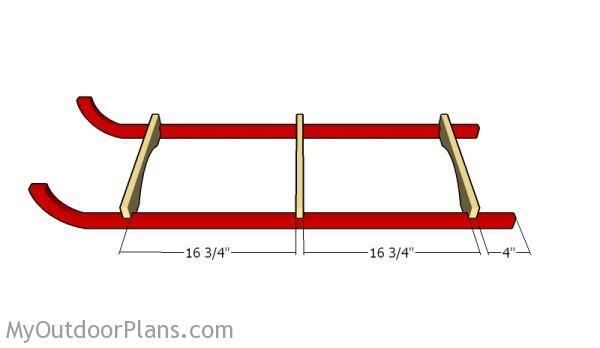 Build the front support from 2×4 lumber. 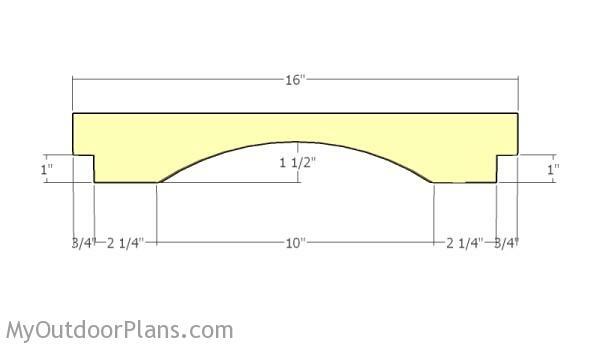 Mark the cut lines on the slat and get the job done with a circular saw. Smooth the edges with sandpaper. Fit the front support to the horizontal front brace. Make sure you align the edges with attention. Drill pilot holes and insert at least 4 2 1/2″ screws for a proper bond. This is a decorative project, so I don’t advice you to use it on a steep slope. 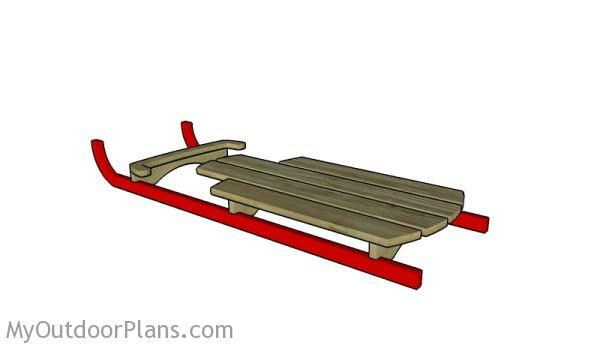 This woodworking project was about wooden sled plans. If you want to see more outdoor plans, check out the rest of our step by step projects and follow the instructions to obtain a professional result. 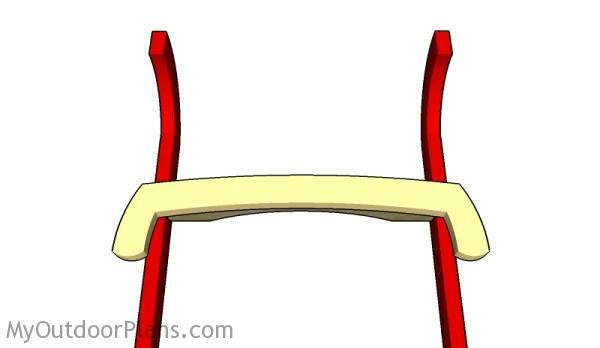 Hi, Reading the plans, and it has the seat supports made with 4×4? Is this correct? Is it supposed to be 2×4 and can the adjustment be made for 1×4 since it’s purely for decoration? Yes, they are made of 2x4s. I ve updated the list. Thank you.